The Tronix Explorer Mini is a battery inverter designed for portability. How does it fare powering our studio lights on location? The postman must love it when things get delivered to us at Lighting Rumours HQ. Thankfully for them, the Innovatronix Explorer Mini only weighs in at 5kg, which isn’t a lot for something that can expand your photography with a studio strobe to the great outdoors! The sample we were sent came with a carry case and a charger. Everything fits snuggly into the bag which has venting on the underside so, as long as you don’t place it on its rear, means you wont have to take the battery pack out, allowing you to jump straight into shooting mode. The unit is straight forward to use, with one plug for plugging in appliances, an on/off rocker switch with corresponding lights to let you know if you have been successful, and a socket to plug the charger into. The charger has a mains connection point, which is essentially a kettle cable, and a cable to then plug into your battery pack. 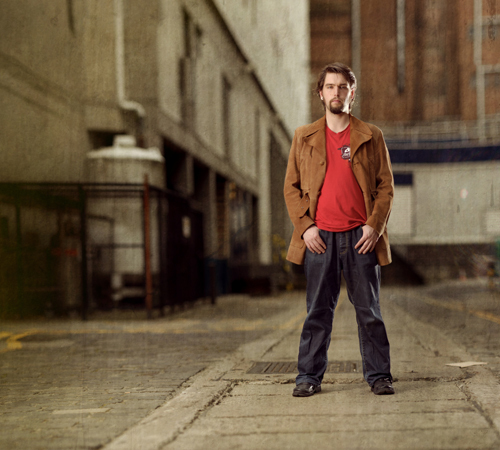 We used the Bowens Gemini 400 monolight with the Explorer Mini on testing. At 400Ws, the Explorer Mini copes well, even at full power, there is not much of a noticeable difference between this and using the monolight straight from the mains. Its small enough that on some stands you can place it between the legs as balast, but heavy enough that you can use it to hang from your stand to keep it in place, but even your girlfriend, I mean assistant can still carry it to and fro location. It is rated up to 1200W, but during the time of testing, we had nothing of this magnitude to see how it worked. 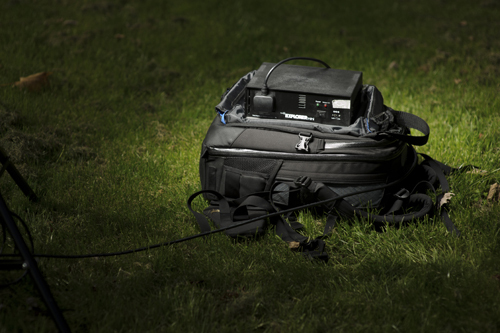 We did take a 4-plug extension cable and plugged 2 Bowens Gemini 400s into the Explorer Mini. Recharge times do start to go up, but you are trying to squeeze power now into two lights which is to be expected, but seemed to work with no problems. the Explorer Mini is rated to 400w continous draw. Check here for a compatibility chart to see if the Explorer Mini is available to you and your kit. The Explorer Mini, for its size gives you an simple way of taking your photos outside. Its one of the lighter battery packs on the market and shouldn’t break the bank too much for you to aquire one. They can be ordered directly from Innovatronix’s web site for US$349 plus $40 to get it to your front door, assuming you have a fit and healthy postman.